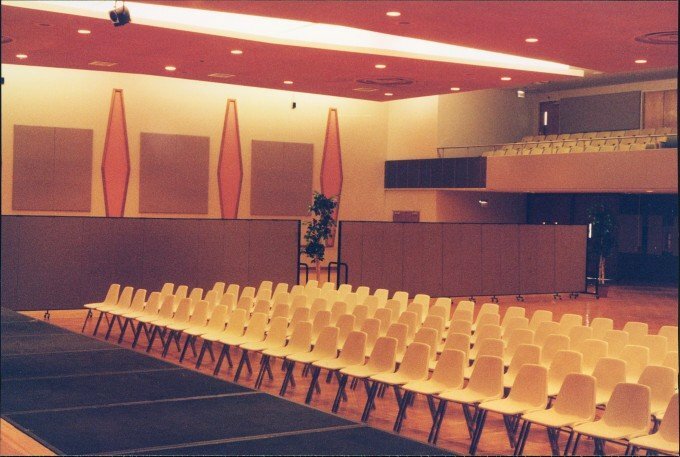 When inclement weather forced a high school graduation indoors, an overflow room was set up in the school gymnasium. 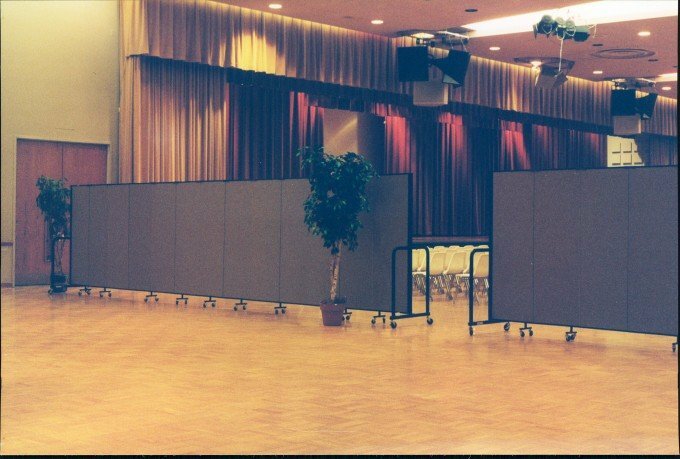 In order to create a more intimate setting in their huge auditorium, the facility managers rolled two of their Screenflex Portable walls from the library to the auditorium. The dividers not only help make a large area smaller to fit the size of the group, but also help create an attractive entrance.